Wherever there is a diagnosis of food allergies, there is also a fear of food. The thought of social events, eating meals that are not from your own kitchen and trusting that someone else is giving you something that will be safe can be almost just as crippling as the diagnosis itself. Walking into a room of food can set off all sorts of internal struggles and anxieties that may simply make it unbearable to even attempt for some people. But what if that room full of food wasn’t scary or dangerous? What if that room full of food was actually a safe haven where all of the foods were clearly labeled, everyone handing out food had gloves on and answered each and every allergy question that you have about that food? With multiple locations across the United States, the Gluten Free and Allergen Friendly Expo is the largest event for foodies with food allergies. Seeing the immediate need to offer more products for those with Celiac Disease, gluten sensitivities/ auto-immune/inflammatory disease and Autism, this expo is nothing short of a great way to regain your trust in food and to find new items that you didn’t even know were available for you. We all need a sense of community to strengthen our food allergy journey. I have personally found that attending these expos allows me to connect with other people on so many different levels. Being able to meet and talk to the product vendors about why they do what they do, what your family needs them for or even to recommend some new ideas brings about a newfound voice that many of us don’t know how to share. Bumping into other attendees and just having a conversation makes us realize that we are all in this together and regardless of how long we have known each other, what we do know is that someone else’s family is instantly our family in any allergic scenario. You may enter with caution because you are so used to fearing what these foods can do to you but when you leave, this will be the same food that will empower you to get through all of those difficult days. Between the delicious never-ending samples of food, the goody bags followed by even more goodies being handed out to you along the way and the personal touches of the expo, you will be reminded that food is fun. How long has it been since you felt comfortable saying that? Where else can you walk, talk, eat and have a picture taken with a giant fork? 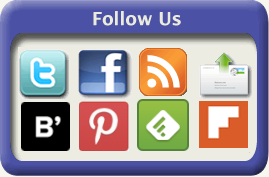 Whether you go alone or as a family, there is something for people of all age groups to pick up, pick at and pose for. 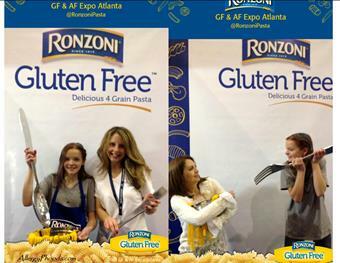 Our family has been to the Atlanta, GA Gluten Free and Allergen Friendly Expo twice: once as a family (shared here) and this time I was honored to be a part of their press team. The only difference between the two trips- it got even better. Why am I sharing? Because it’s part of my passion to help others with food allergies and I want everyone to feel good about their food allergies. When you feel out of control or lost, there are places to go and people to meet who will help you. Why not enjoy the journey along the way? 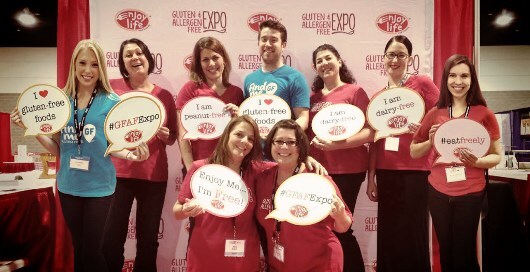 For more information on the Gluten Free and Allergen Friendly Expo visit http://gfafexpo.com/. Can Dining Out Be Fear-Free With A Food Allergic Family? EPI-demic! The Auvi-Q Recall: Is Your Food Allergy Family Safe?